Sportsalcohol.com co-founder Sabrina introduced me to HAIM about a year ago via their song “Forever,” before they had a proper album out. I cannot recall liking a band more instantly. Days Are Gone came out on my birthday last year, and I bought it and loved it also more or less immediately. 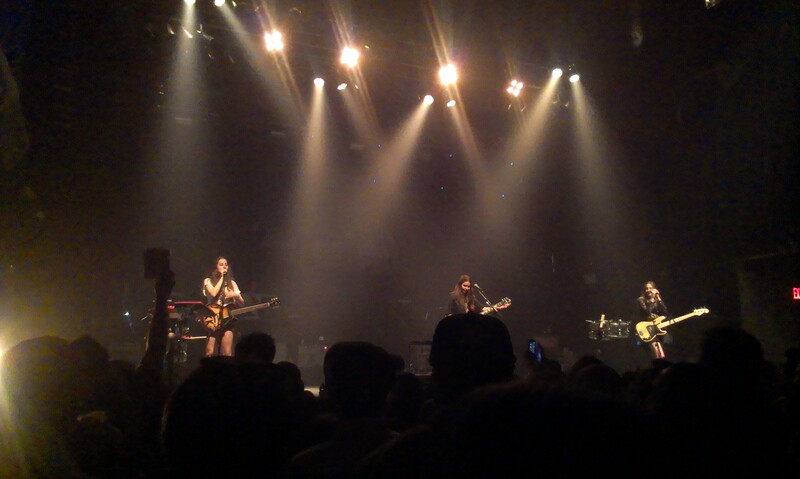 Then, finally, after a lifetime of hard work, Marisa and I were rewarded with seeing HAIM at Terminal 5 in Manhattan last night with SportsAlcohol.com contributing bassist Jeremy, and it was fantastic. The ladies of HAIM rocked out, whipped around their hair and their different types of charisma, and the show was every bit as good as it should have been — maybe better, considering it was an hour-plus set built around exactly one album. Basically anyone who has enjoyed the band on that album would have a great time at their show.